MUMBAI: Celebrated Marathi music composer duo Avinash-Vishwajeet will perform at their first public concert, confirmed Vishwajeet Joshi to Radioandmusic.com. 'The Avinash-Vishwajeet Show' will include almost 25 of their best tracks so far. Although the dates are not fixed yet, Joshi confirmed that the show will be held at Mumbai and Pune. Speaking about the concert, Joshi said, "It is going to be a completely different treat for audiences who have acclimatised themselves to Marathi music. We are known mostly for our romantic tracks, but the concert will showcase an amalgamation of multiple music genres. That is something we are very excited about." The duo is best known for their music composition work in films like the recent hit 'Guru Pournima' and the Sachin Pilgaonkar-starrer 'Sanngto Aika'. They have also composed for the upcoming Marathi feature, 'Classmates' and have showcased visible versatility with a haunting score in '7 Roshan Villa'. Avinash and Vishwajeet are currently working on a couple of upcoming Marathi feature films viz., 'Ready Mix' and the sequel to the 2010 cult film, 'Mumbai-Pune-Mumbai'. For 'Ready Mix', the duo has roped in Sa Re Ga Ma Pa Marathi L'il Champs finalist Aarya Ambekar to sing a romantic song for the film, marking her debut with Avinash-Vishwajeet. For the sequel of 'Mumbai-Pune-Mumbai', the duo is working with the same team they worked with for the first film, which includes Hrishikesh Ranade, Swapnil Bandodkar and Bela Shinde. 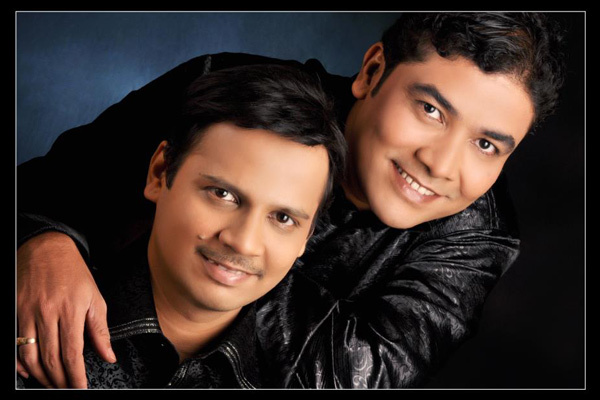 MUMBAI: Way before Ajay - Atul made their mark Pan India, the duo composed smashing hits in their mother tongue, Marathi. One of the most famous albums was Bedhundh, released in 2003, for the leading music label, Sagarika Music. MUMBAI: How did a sixty-year-old man compose a youthful track like Mere Sapno Ki Raani? Why the Nightingale of India, Bharat Ratna Lata Mangeshkar choose Hemant Kumar for her first song after her brief, yet fatal illness in the 60’s? MUMBAI : Legendary singer Asha Bhosle will pay tribute to four legendary Indian film music composers -- Sachin Dev Burman, Hemant Kumar, Salil Chowdhury and Rahul Dev Burman -- by performing at The Bengal Tigers, a show to be held here on September 1. Festive aura of Guru Purnima in India has historic significance! MUMBAI: The relationship, between a student and his master, is universal and is celebrated with a lot of festoon in India and its neighbouring country Nepal, where it is also a national holiday. In India, we are taught that the guru or the teacher is next to God.